To ensure that all young carers and young adult carers in Wigan Borough enjoy the same life chances as other young people. 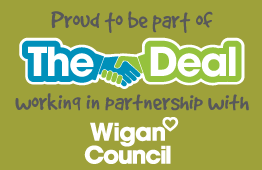 To promote and protect the physical and mental health of young carers and young adult carers resident in the Wigan Borough, through the provision of breaks, support, education and practical advice. To alleviate stresses placed on young carers, young adult carers, parent carers and their families. To contribute to the growth of self-esteem and personal development of young carers and young adult carers. We are an evidence based and user led charity, with over 15 years’ experience of working with young carer’s and their families. In terms of structure and leadership, the charity is governed by a suitably trained and committed Board of Trustees who live locally, with a wide skills base across health and social care. Also, embedded within our charity is a wealth of expertise from our support workers and volunteers alike; in establishing relationships with young carers, families and professionals, which in turn, allows us to deliver tailored support packages and address a complex range of issues. As an ethical provider, we have a clear understanding of the impact of caring and are able to recognise the strengths and potential of the individual. It is our aim that young carers in Wigan Borough get the recognition they deserve and are valued and supported in their caring role.